Back before there were Raptors, there was the Yamaha Warrior 350. 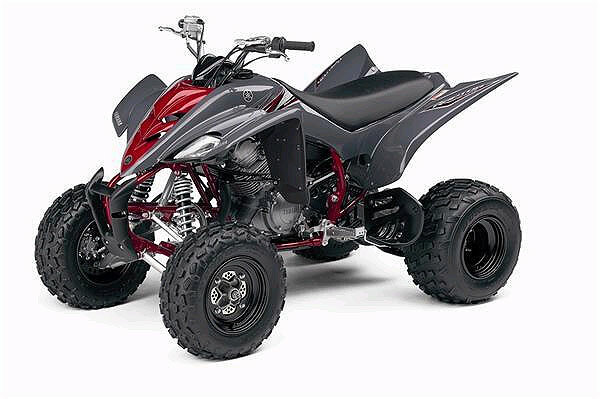 That machine has been updated through the years and renamed, but it still offers the features that made the Warrior an icon. 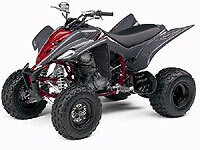 It’s a simple, reliable sport ATV with an air-cooled, electric-start motor. It has a six-speed gearbox with reverse and reasonably light overall weight. Click on the above magazine to read about TAT.2Racing project of YAM RAPTOR 350 Super Moto for MotoXtreme Mag. Click on the above magazine to read about TAT.2Racing test and impruve YAMA's RAPTOR 350 '08 for MotoXtreme Mag. EHS RAPTOR 350 Air Box Cover and Kit.